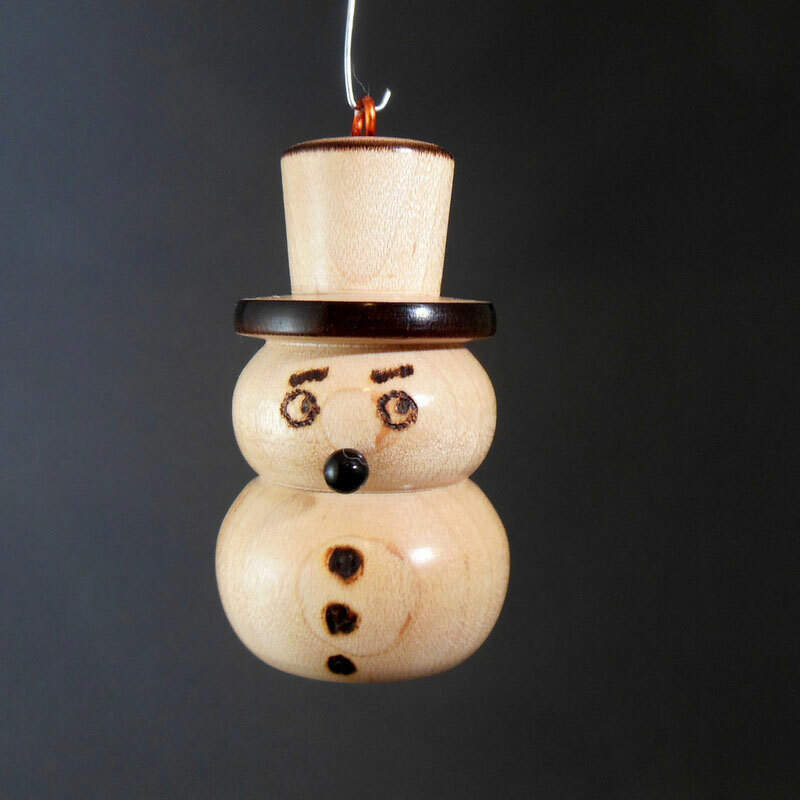 In the first part of this article, I showed how to make a Christmas tree ornament shaped like a snowman (see Figure 1). 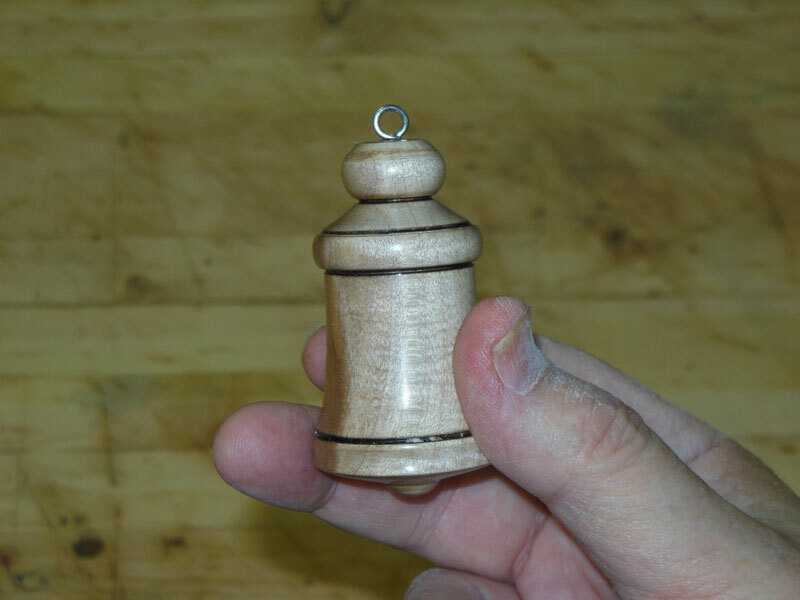 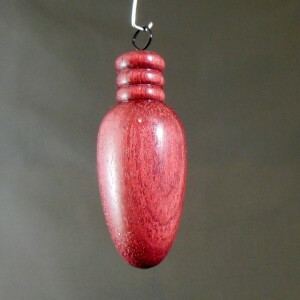 In this part, I’ll show you how to turn a bell ornament (Figure 2). 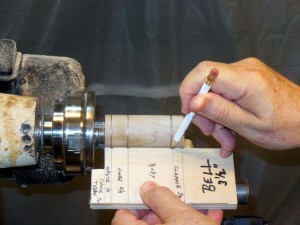 Figure 3 below shows the size of the blanks for the bell ornament, and details the location of each major division of the piece. 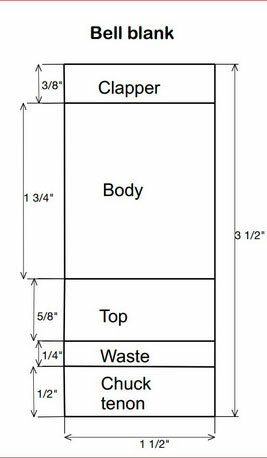 If you, like me, are making lots of these ornaments for Christmas gifts, I suggest making a sizing template for each ornament (Figure 4). 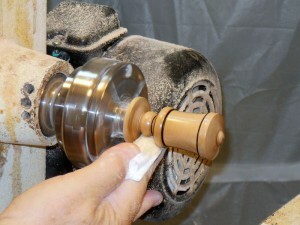 This makes it much faster to lay out each new blank when you’re ready to turn it. 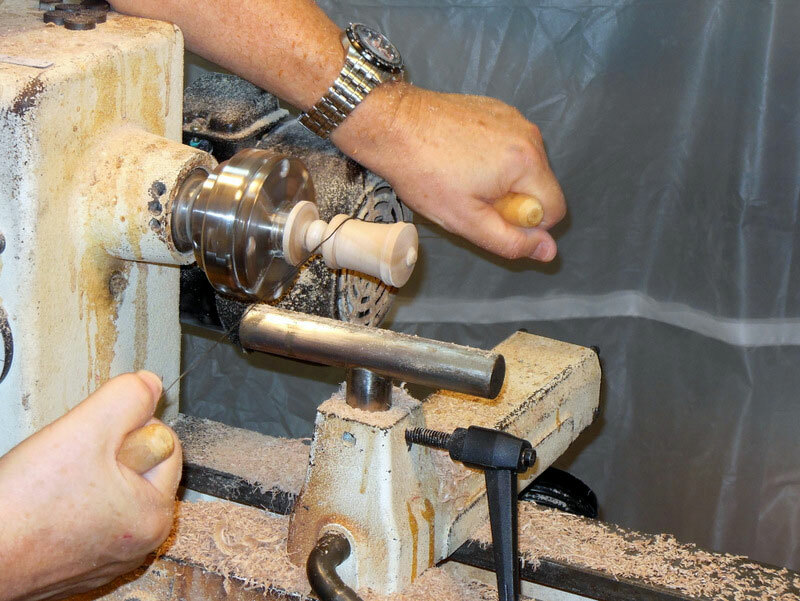 Part 1 of this article has more detailed instructions on preparing the blanks for the ornaments, so I won’t repeat them here. 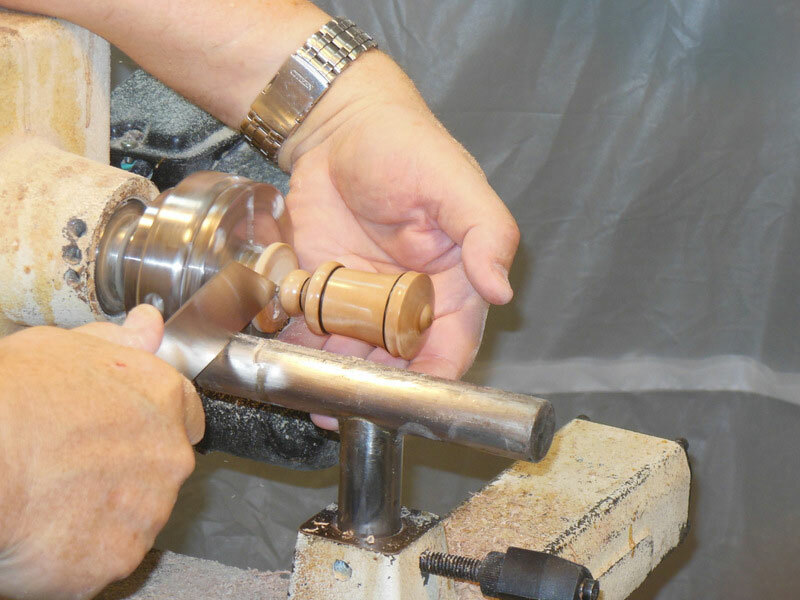 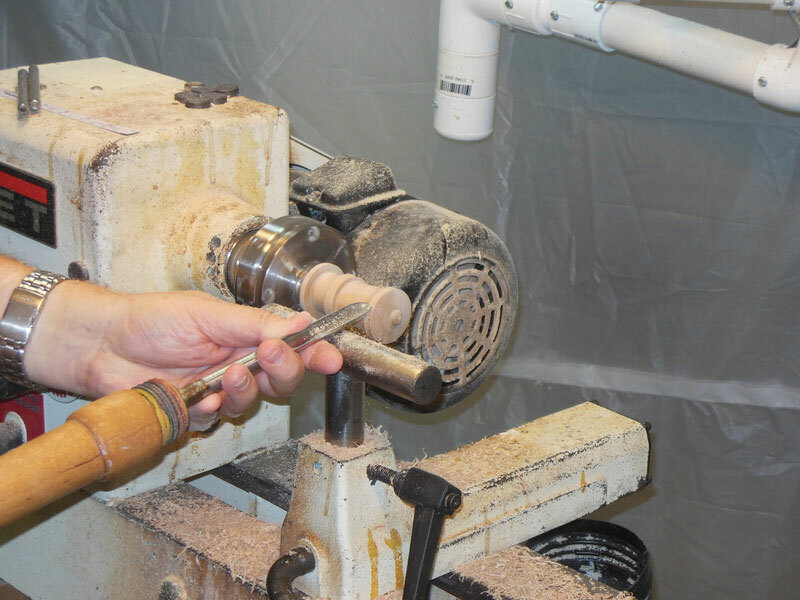 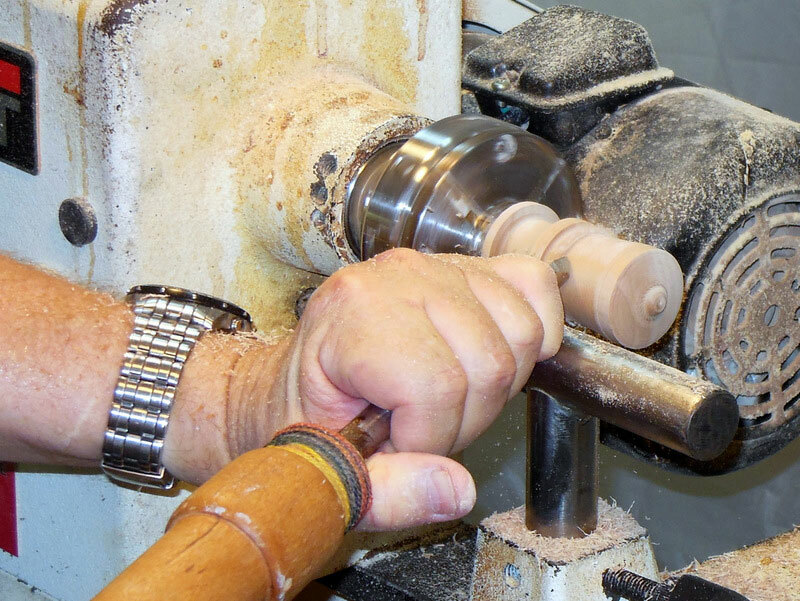 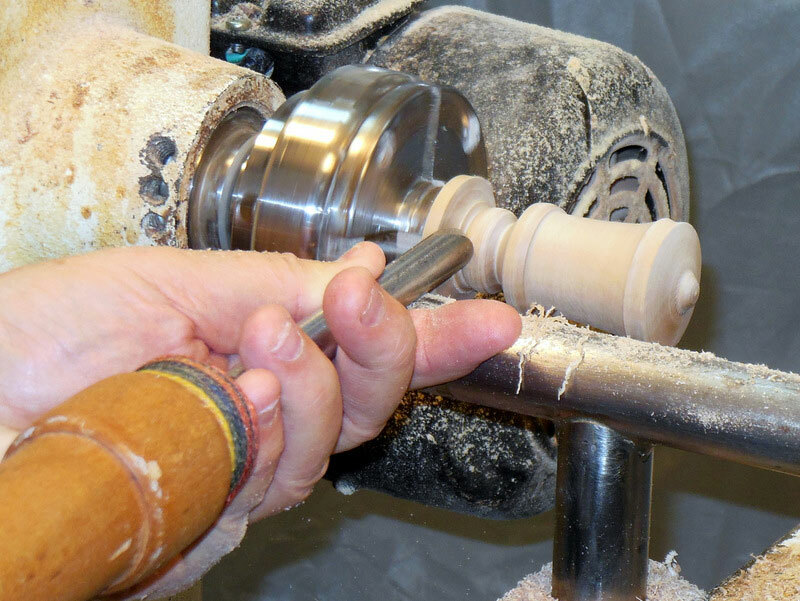 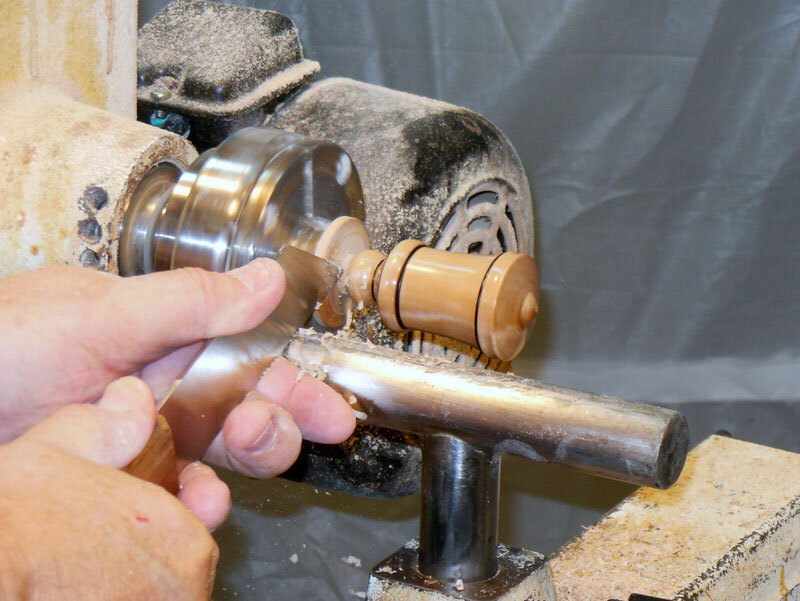 For the bell ornaments, cut lengths of 1 ½ square spindles to 3 ½ inches; for the bulb ornaments, cut lengths of 1 inch square spindles to 3 inches. 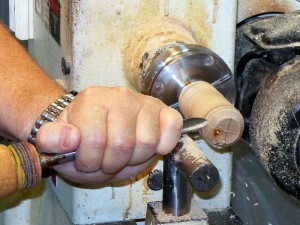 Mark the ends for center, mount them between centers, and rough them down to round. 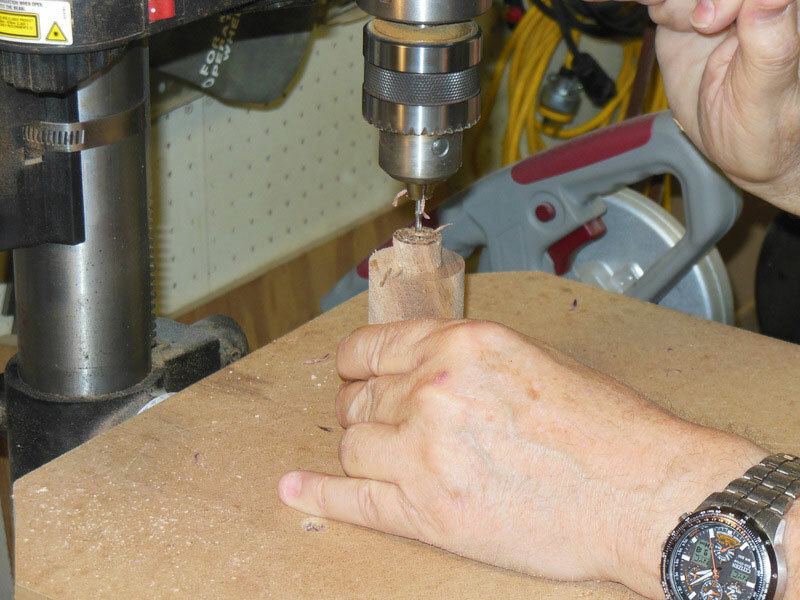 On one end, cut a ½ inch long tenon to fit whatever chuck you’re using. You may wish to drill a hole for the hanger right now (Figure 5); it’s easier to do it now, rather than waiting until the ornament has been turned and doesn’t have a flat surface to sit on. 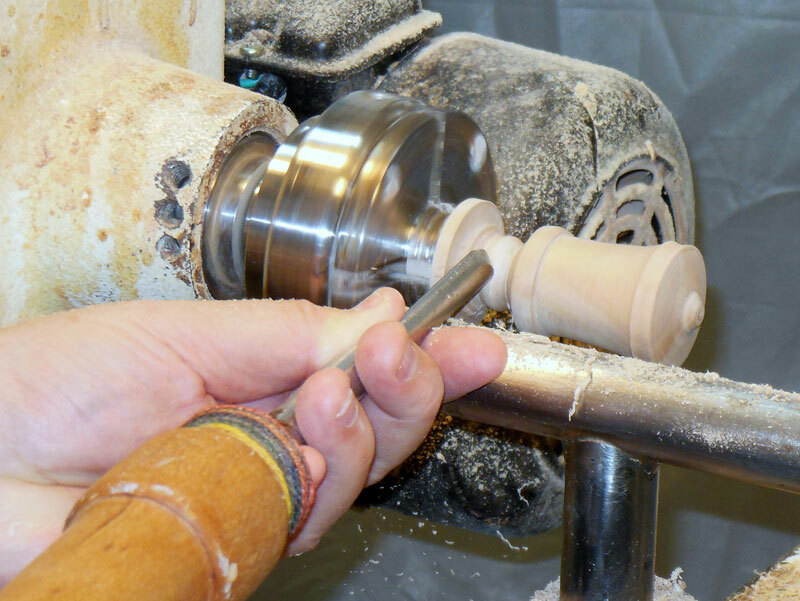 Remember that for the bell and bulb ornaments, the top of the ornament is on the chuck end, so the hole needs to be at least an inch deep (to account for the tenon which is parted off). The bell ornament is laid out so that the bottom of the ornament is toward the tailstock. After making shallow cuts at the marked lines, I start by working on the bottom, cutting a shallow curve across, going in about 2/3 of the diameter, and then, right in the center, turning a small “bump” (Figures 8 and 9), which is the clapper of the bell, just visible below the bell’s body. With the clapper shaped, move left to the body of the bell. Using the spindle gouge, begin cutting a slope from the bottom edge to the marked line to the left, which is the top edge of the body. 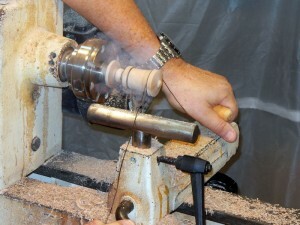 For a decoration, leave a raised flat area at both the bottom and top edges of the body. 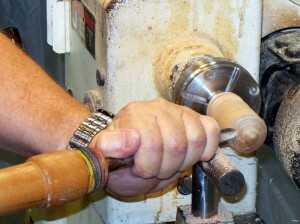 After shaping the body as desired, move left again to the crown of the bell (between the waste cutoff and the body). Turn a large bead in this area. Using a narrow parting tool or the toe of a skew, cut a couple of very shallow lines at the top and bottom of the body, and use a burning wire (a length of steel wire with a small handle on each end – homemade of course, although you can buy them) to burn in two dark black lines for decoration (Figure 14). You might want to increase the speed of the lathe up to 1500 or 1900 if you’re having trouble getting a burn. 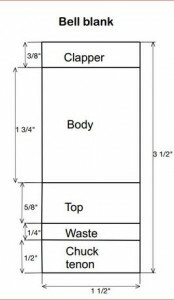 Be aware, you’ll get smoke, as shown in Figure 15. Unless you want to do more decoration, the bell ornament is ready for finishing. 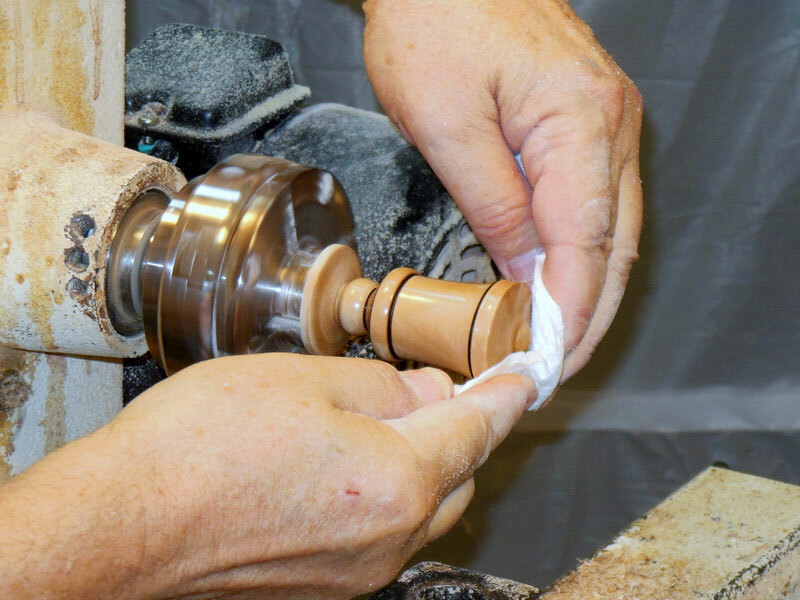 As with the snowman ornament, put on a coat of friction polish with the lathe off, polish it with the application cloth, put on some wax with the lathe on, and polish it with the wax applicator cloth (or paper towel). 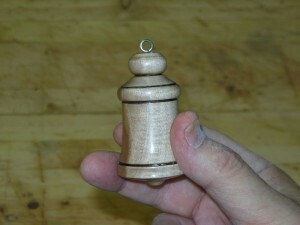 Part the bell ornament off (Figure 18), and in the same manner as the snowman ornament, attach a hanger on the top. 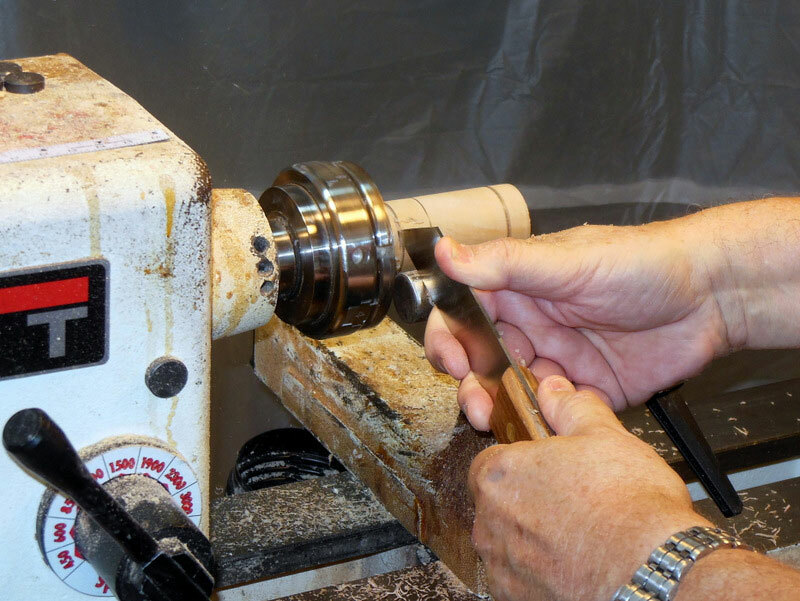 (If you haven’t already drilled the hanger hole, you’ll have to do that first, of course.) 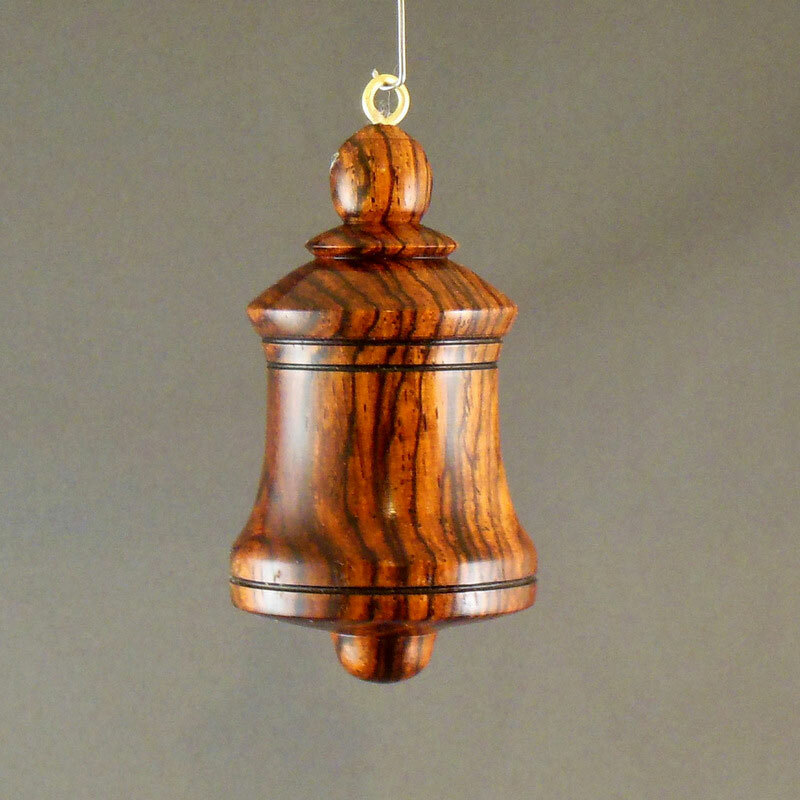 If you’re mass-producing, however, set the ornament aside, turn all the other bells, then drill all of them for the hanger. 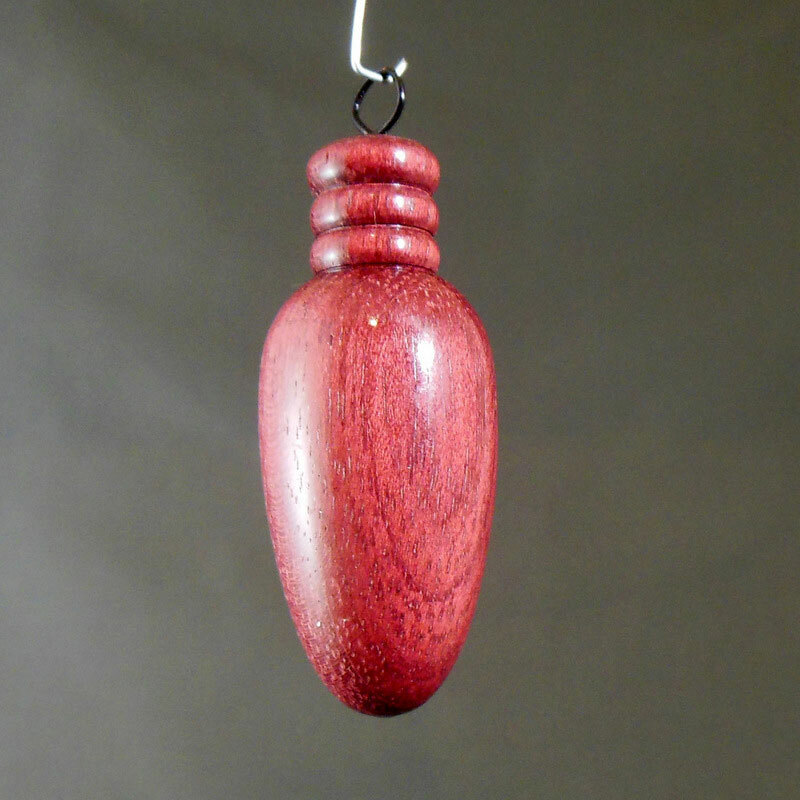 The bell ornament is finished!